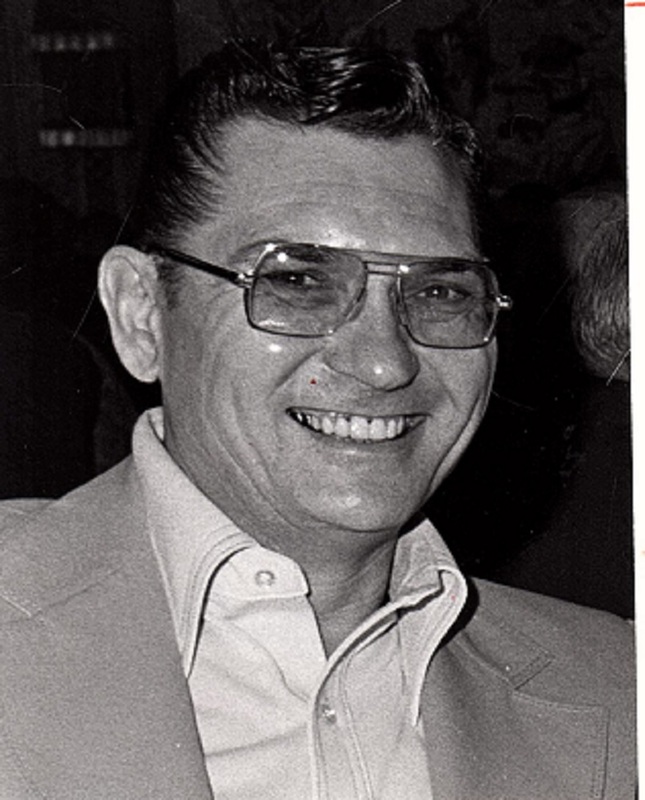 Duane Randle was born on May 17, 1929 to Boyd and Martha Randle near Idana, Kansas and died on January 28, 2000. Randle was exposed to the industry at an early age; his father was a farmer and a pioneer Greyhound breeder with a reputation for raising good greyhounds and three of his older brothers, Gene, Ned and Ray, formed the Randle Brothers Kennel near Wichita. After Duane graduated from high school, he worked alongside his oldest brother, Gene, fine-tuning skill as a trainer and kennel owner. One of the first stars he handled for Randle Brothers Kennel was Cordene, who won the 1950 Raynham Inaugural. When the brothers disbanded the kennel in 1954, Duane Began his first booking as a kennel owner by leasing greyhounds from his brothers and establishing Wheat State Kennel at Derby Lane. His first stake victory was the 1954 Derby Lane Festival Stakes won by Bill Hunter, son of Hall of Fame inductee Real Huntsman. Randle’s kennels were successful through the 1970’s and 1980’s; in the mid-70’s, his Hollywood kennel won three straight Floridian stakes with Nifty, Sponsor and Judianna. For years Randle trained greyhounds and operated kennels in Massachusetts, Arizona, Colorado, South Dakota, Florida and Arkansas. He finished his career racing year-round at Southland before his retirement.